The sixteenth EU-Ukraine Cooperation Council was held on 24 June in Luxembourg. The EU was represented by Eamon Gilmore, Deputy Prime Minister and Minister for Foreign Affairs and Trade of the Republic of Ireland and Mr Stefan Füle, European Commissioner for Enlargement and the European Neighbourhood Policy. Prime Minister Mykola Azarov led the Ukrainian delegation. Read below the key points of its conclusions. On EU-Ukraine Association Agreement. The signature and the implementation of the Agreement would represent a major leap in EU-Ukraine relations. Re-enforced efforts by Ukraine to demonstrate determined action and achieve tangible progress on all benchmarks will be critical for preparing for the assessment and comprehensive debate by the Foreign Affairs Council in early autumn on the possible signing of the Agreement. On Commission’s proposals adopted on 15 May. These proposals represent an important technical step to enable the EU to sign the Agreement, but do not prejudge the final political decision. On selective justice in Ukraine. The EU put particular emphasis on addressing the outstanding case of selective justice and preventing any recurrence of selective justice by a comprehensive judicial reform in line with European standards. On elections. Prime attention needs to be given to the consideration of an Election Code as a means to ensure that uniform procedures in line with the European standards are applied to all types of elections. The electoral reform needed to be prepared on the basis of open and inclusive discussions with the political parties, NGOs and experts. On business climate. 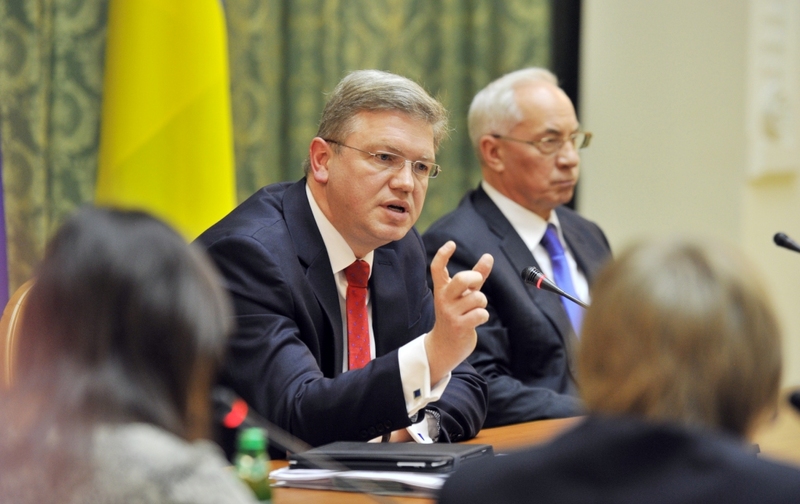 The EU stressed its expectations as regards the improvement of the business climate in Ukraine. In this context, the EU reiterated its concerns about recent protectionist measures and expressed its confidence that Ukraine will eventually be able to deliver a satisfactory solution to trade and investments irritants. On energy. The EU continues to support the modernisation of the Ukrainian Gas Transmission System and underlined the need for energy sector reforms to continue in line with Ukraine’s Energy Community commitments. On public finances. The EU insisted on the importance of adopting a public finance management reform strategy and reversing the backsliding on public procurement.